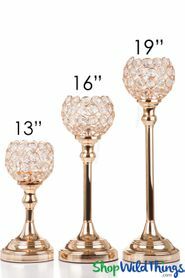 Crystal Real Glass Beaded Gold Tall Centerpiece Goblet Candle Holder - Wedding Candle Set 15"
Home > Lighting > Candle Holders > Beaded Real Crystals Candle Holder - Goblet - "Prestige" - 15" Gold - BUY MORE, SAVE MORE! Beaded Real Crystals Candle Holder - Goblet - "Prestige" - 12" Gold - BUY MORE, SAVE MORE! We're so excited about our new Gold Crystal Goblets that we threw a party for no good reason other than to ooh and ahh at their magnificence! 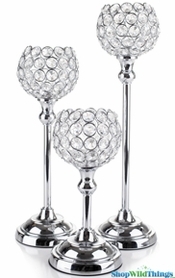 Our "Prestige" Crystal Candle Holders are simply fabulous and are so elegant and tasteful that you'll want all 3 sizes! 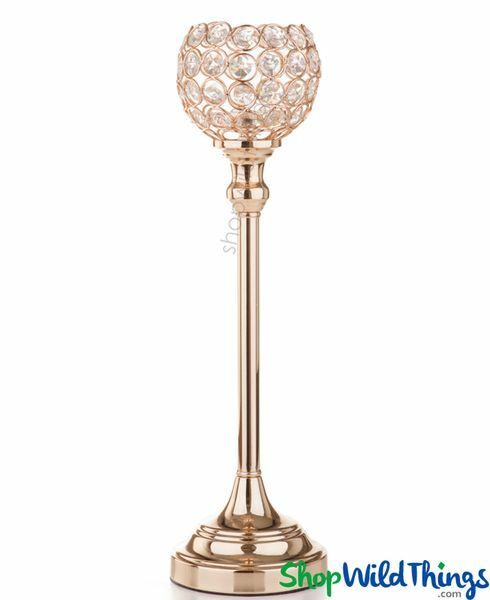 Atop the pedestal is a 4" in diameter goblet that's covered in GENUINE crystal beads that are faceted and shine like little stars! Our crystal beads are real crystal, not acrylic and they are faceted on all sides. You will find sellers who "sneak" in plastic beads or mix acrylic with glass beads. We are fanatical that this is NOT done on our products. This candle holder is 15 1/2" tall and the goblet has a removable candle plate that's 2 1/4" in diameter and 1/2" tall. The base of the pedestal is 4 1/2" in diameter. If you're doing a Silver and Gold theme, check out our matching silver goblets, along with our entire line of "Prestige" candle holders. 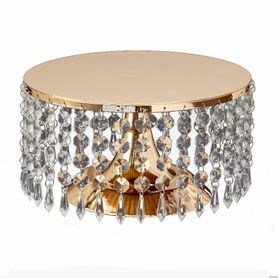 Just add a flameless candle (about 2" tall would be perfect) or a Floralyte LED light, place the holder on a mirror and now you're going to ooh and ahh at your brilliant creativity! This could also be used to elevate a floral design or the goblet can be filled with party favors or candy! Gorgeous. 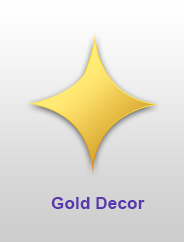 Recommend this item for your deco. Came perfect as in picture. I was scared thinking that they will be smaller than described but nope they came perfectly. The arrival of my order came faster than expected. These were even prettier when I got them! Just what I was looking for. This is the perfect gold for my wedding..